One of the tropes of science fiction is the uncanny valley -- the phenomenon of a robot looking eerily human-like but not quite right in some intangible way. Another is the breakdown in the distinction between human and machine. And a third is artificial intelligence becoming so complex and sophisticated that humans are no longer able to understand or control it. Well, not to be the bearer of bad news, but all of those tropes from the movies are already happening. The good news is that some of these advances have the potential to make our lives a lot better. First off, a military robot called Atlas could soon get a skin graft -- all over its mechanical body. 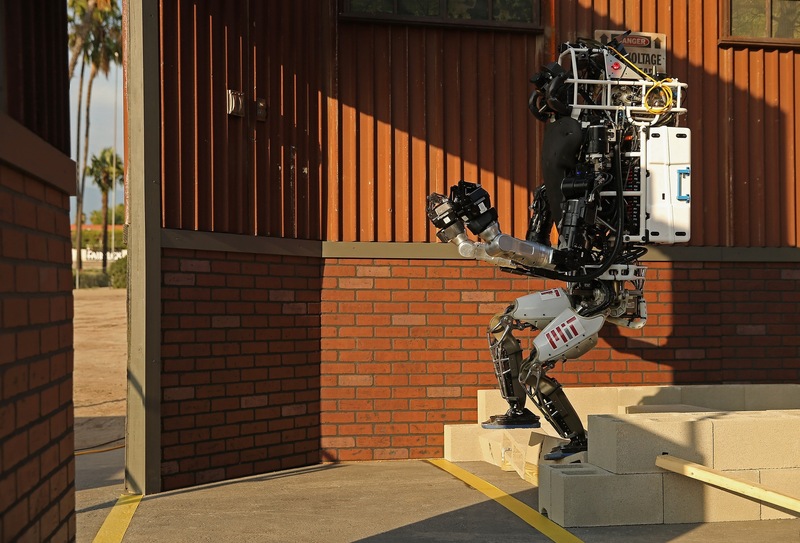 Atlas weighs about 180 pounds and stands just under six feet tall, and is funded by DARPA. It's intended to be an emergency response, humanoid-like robot. In a recent paper at Science magazine, engineers at Cornell University and the Italian Institute of Technology unveiled their newest creation -- robotic "skin" that can stretch, glow, and change color. The new tech is based on capabilities found in nature, like in octopi, and could make Atlas look more human, or more terrifying. According to DefenseTech, "not only can it feel pressure - giving Atlas a 'sense' of touch - but it will give the military robot a chameleon-like ability to blend in with the environment, according the recent reports." Boston Dynamics, the company behind Atlas, recently released a video that shows researchers shoving the humanoid robot with a hockey stick, knocking a box out of its hands, and knocking it over with a pole. In every instance, Atlas was able to respond, right itself, and finish the task assigned. Sure, when Atlas walks over snow it looks a little like a Patriots fan after a few too many bottles of Sam Adams, but in some ways that just makes it look all the more human. Ken Goldberg, robotics professor at UC Berkley, told Wired that watching Atlas get poked and prodded left him uneasy. "I mean, most of us probably had the same reaction when it got pushed around: We expected it to turn around and blast that guy with a laser beam." One thing you can say about people who study robots, they have a sense of humor. The next development is something that's really exciting, and not nearly as apocalyptic as skinbots. Earlier this month, DARPA (again) awarded $424,000 to the University of New South Wales to conduct research into developing what's called "living bioelectronics." Dr. Rylie Green of the University of New South Wales explained in an interview in 2013 the current state of bionic devices, their shortcomings, and how "living electrodes" could be a game-changer. "Bionic devices are implants which replace biological functions which have been lost due to nerve damage," she told the News Medical. Pacemakers are the most well-known bionic implant. "The next most notable bionic device was the cochlear implant to stimulate hearing, and the first device was made commercially available in 1972," Green adds. "Currently, the bionic eye is under development with several groups across the globe seeking to provide a viable device for enabling sight-impaired patients to perceive light." Green goes on to explain that most current models use metal electrodes to stimulate nerves, which can degrade over time. This is particularly a worry for children who need implants. For the past few years, Green has been working on using tissue engineering to "bridge" the divide between the device and the rest of the body. It's exciting stuff, and there's a real possibility that patients could see improved vision or hearing as a result of this research. 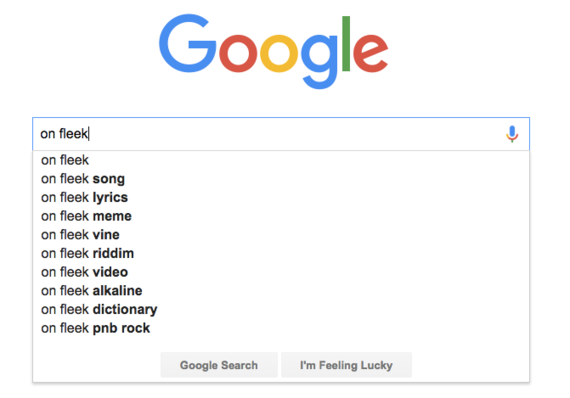 To end on a weird note that may signal the coming onset of SkyNet and the destruction of humanity, Google doesn't fully understand its new search engine algorithm RankBrain. Google's Paul Haahr, one of the company's top engineers working on RankBrain, said at a marketing conference earlier this month that he didn't understand exactly what RankBrain's A.I. was doing. Not familiar with RankBrain? It's "Google's name for a machine-learning artificial intelligence system that's used to help process its search results," according to SearchEngineLand. Phrases that are unfamiliar to RankBrain "will be converted into words and phrases with similar meanings for filtered results. This increases Google's accuracy and efficiency when tackling new search queries," writes SEMRush, a website that publishes articles on changes to search engines. And machine learning means the system is capable of teaching itself new things, not simply running already installed programs.